Are you addicted to the Duck Dynasty reality television series? If so, you're gonna love this item! 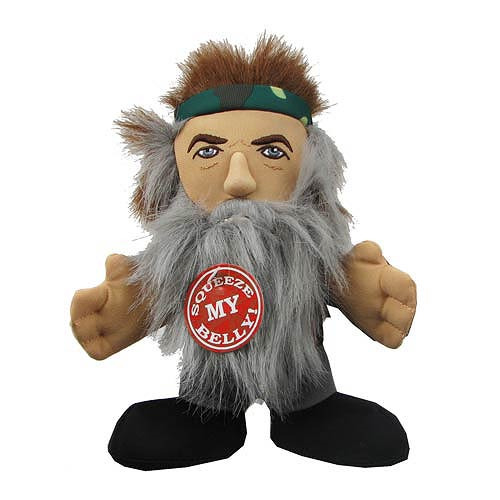 Hang out with Phil Robertson from the TV show with this Duck Dynasty 8-Inch Phil Robertson Talking Plush. Ages 4 and up. Push his stomach and hear his crazy phrases from the show!